According to the 80’s instant cult classic Back to the Future , we’ve officially arrived in the future. Our cars are starting to drive themselves and we now take technology with us everywhere we go. These advancements have enhanced our lives and changed the way we live entirely. Unfortunately, these technological breakthroughs rarely reach the classroom. Technology comes with its downsides. I am an advocate for technology in the classroom. I think that ignoring the educational opportunities that technology has afforded us puts kids at a disadvantage. With that being said, screen culture overall has made the jobs of teachers much more difficult. Education has become synonymous with entertainment in many ways. Parents are quick to download educational games as soon as kids have the dexterity to operate a touch screen, and with the best of intentions. The quick-hit way that children are learning academics before and during their K-12 careers makes it even more difficult for teachers to keep up in the classroom setting, particularly since each student’s knowledge base and technological savvy varies. Here the author of the article, Matthew Lynch , expresses the connection between education and entertainment. Currently, the generation passing through the school system are enthralled with being entertained while being taught. There is a lack of teacher education innovation. It stands to reason that if students are changing, teachers must change too. More specifically, it is time to modify teacher education to reflect the demands of the modern K – 12 classrooms. There are policy and practice changes taking place all over the world – many driven by teachers – that address the cultural shifts in the classroom. Public education in America needs teachers who are better trained to meet the needs of specific student populations, understand the necessary role of distance learning, and are willing to speak up to facilitate classroom change. Without these teachers, effective reform to meet global demand is not possible. As a paramedic, training center manager, and instructor for a local ambulance company in Michigan, Roy Shaw recognized that there had to be a better way to deliver CPR training. In his instructor job, Roy watched people fall asleep in his classes and wondered what he could do to help his students get more out of their CPR training. But it was as the first responder to emergencies where the family is asking what more they could have done to save their loved one that he really received the motivation he needed to envision a new kind of training program. But not only did we identify the problem, we sought to fix it. Our solution was born as online CPR certification. We then translated this solution to a model that could benefit students. 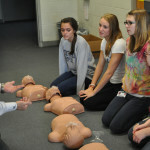 These students had an advanced problem; not only is CPR training in the classroom boring but also students are required to have this training before graduation. 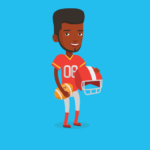 Not only would our training have to be educational, it would also have to be entertaining to a vast amount of students going through the school system. We believe the future is here, and that in this future education is important. 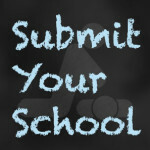 Important enough to adapt our old ways of education using innovative technology to reach the modern student. We believe in students ability to learn and apply our lessons (provided we teach them correctly) when necessary. We Believe that life matters. 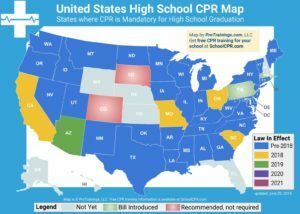 Is CPR/AED training required in my state?